Two regulars of Urban Coffee Company, Church Street, took a 6km detour during Sunday’s 10.6km Birmingham Sky ride, just to get a good cup of coffee and a piece of cake. 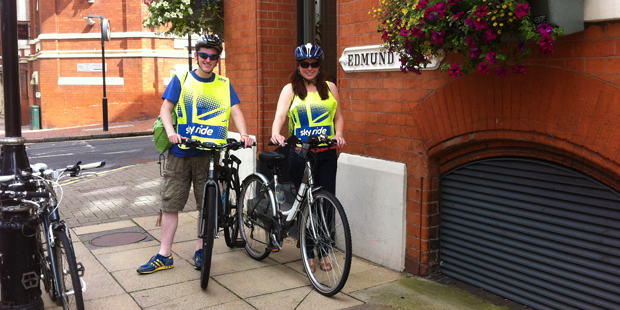 They were just two of the 18,000 riders that took part in the event that followed a traffic free route between Campus of The University of Birmingham and the Optima Community Association, near Five Ways. 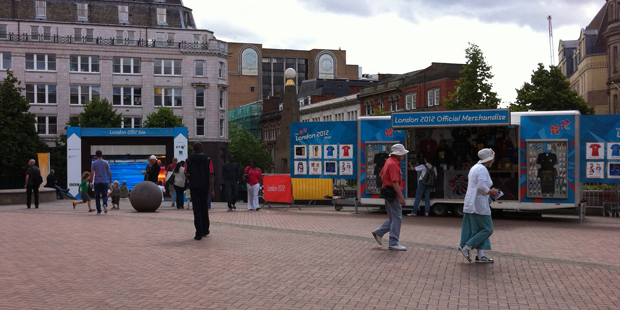 If only Team GB had won medals in the 20km walking race, we could have set up a 20 km Saturday or Sunday walking tour of Birmingham, not sure we could cope with 18,000 walkers though. 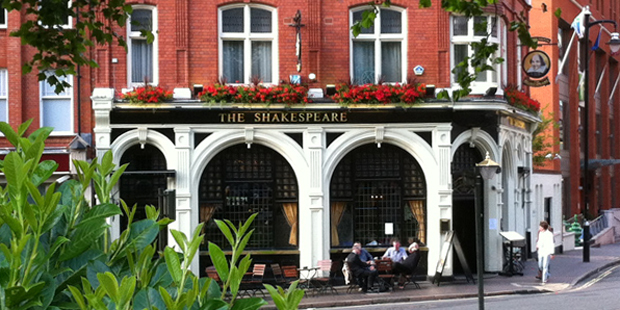 Over recent weeks we have reported on great places to eat and drink in Birmingham, today whilst one of us was working on our Sunday walking tour of Birmingham the other was on a bus mans holiday driving around the Cotswolds, looking out for great places to visit. If you are out in the Cotswolds take a trip to Winchcombe which is a great example of a Cotswold Village. Well worth a visit and just outside of the village is Sudeley Castle, one time home Katherine Parr, the last of Henry VIII wives. In the village have a look at the Church as it has an interesting collection of grotesques. The High Street and North Street are a mix of craft shops, tea rooms and pubs, as well as the shops needed to service this thriving Cotswold Village. 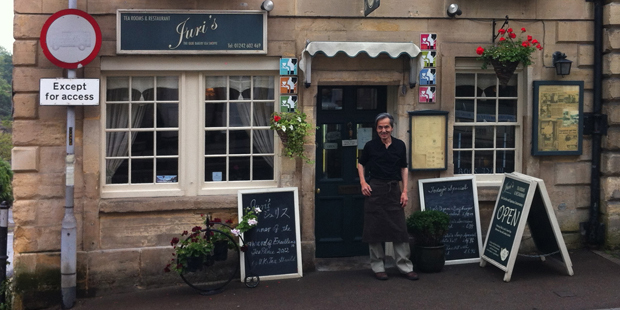 Amongst its hand full of Tea Rooms is the fantastic award winning Juri’s. A family run business, with Juri Miyawaki hand making all the cakes and scones on the premises. Her parents support Juri in the kitchen and front of house. If it is a traditional English Afternoon Tea, or maybe you want to go for the full Japanese Tea ceremony Juri’s is well worth a visit. 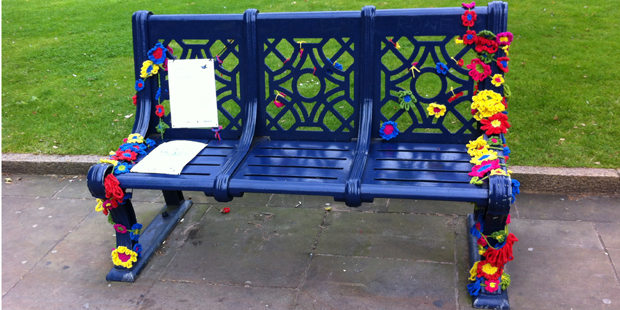 Guerrilla knitting has been an emerging art form over the last few years. Last Christmas the Birmingham Bullring Bull got a nice winter wooly, and this Summer the click on knitting needles has heard again in the grounds of Birmingham St Phillips Cathedral. Craft Space Collective had an open air exhibition of “Guerrilla craft, DIY Craft and Craftivism” that started on the 6th August and ran until the 10th, however the work of the artist from across the UK can still be seen around the Cathedral grounds. It made a nice addition to our Saturday Walking Tours of Birmingham, we had already spoken about the Pre-Raphalites and the Arts and Crafts movement in the city and the knitting sparked a discussion on Urban Art. 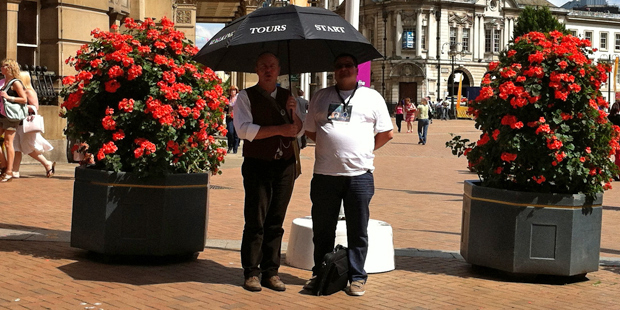 If you are in any doubt about where our Saturday and Sunday Walking Tours start from, as from 11th August all you need to do is look out for the guide with the Black umbrella that reads; Walking Tours Start Here. Look forward to seeing you on a walk soon. With the largest Jamaican community outside of London, Birmingham’s Victoria Square and Chamberlain Square are the site this weekend of the 50th Anniversary Celebrations of Jamaican Independence. 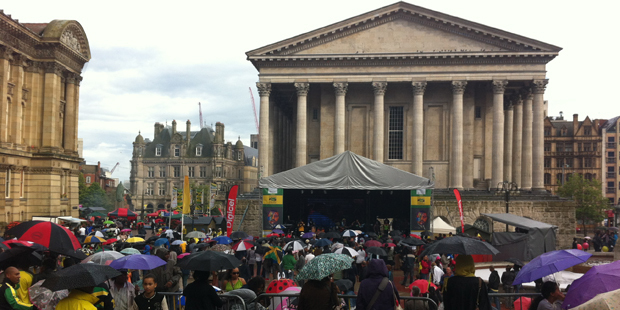 The two Squares served up a rich mix of Jamaican culture, from travel agents to art and crafts, from Curried Goat to Saltfish and Ackee, from Red Stripe to Rum Punch, with Music and Dance on the stage in Chamberlain Square. The Town Hall opened in 1834 for a charity music concert, is such an appropriate backdrop for “Jamaica in the Square“, over its 178 year history the Town Hall has been the stage for great artists from all different types of music. Just as appropriate is the Bronze statue of Thomas Attwood, a local banker and founder of the Birmingham Political Union, who lobbied for political reform in the 1830’s, and was duly elected as one of Birmingham’s first MP’s. Attwood a great supporter of freedom of speech sits close to the stage on the steps in Chamberlain Square, and he will still be sat there long after the event is finished. Also appropriate that the Jamaican Olympic team, used Birmingham as its base in the lead-up to the games, the writer was there Saturday afternoon when the Squares erupted as Ussain Bolt cruised to victory in his 100 metre semi-final, I can only imagine the atmosphere during Sunday evenings final show on the Big Screen in Victoria Square. Find out more of the rich cultural history of Birmingham on one of Midlands Discovery Tours, Saturday City Centre walks or one of their themed Sunday Walks. During a planing meeting at Newman Brothers Coffin Fittings Factory today, the old polishing room was identified as a fantastic venue for a candle lit dinner. Why candle lit well there is no power in the factory, and there won’t be until work starts on its refurbishment early next year. So if you are looking for a unusual venue for a company dinner in the next 4 months, with good food, and stories of working in the factory between courses, contact Birmingham Conservation Trust. Newman Brothers is such an important part of Birmingham and The Jewellery Quarters industrial past, your dinner could help fund part of its refurbishment. If not a dinner have you skills that could be put to good use as a volunteer, details of which are on the Birmingham Conservation Trust. 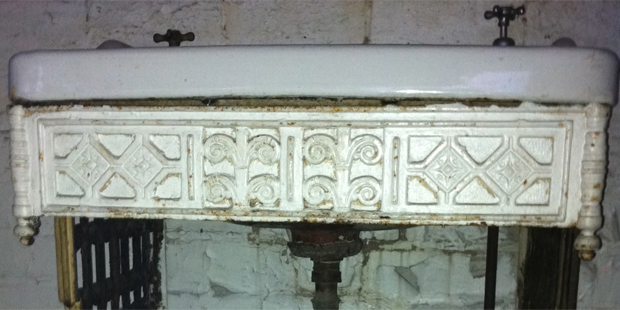 We are also donating 10% of any private Ghost Walk that we take into the courtyard of the factory. 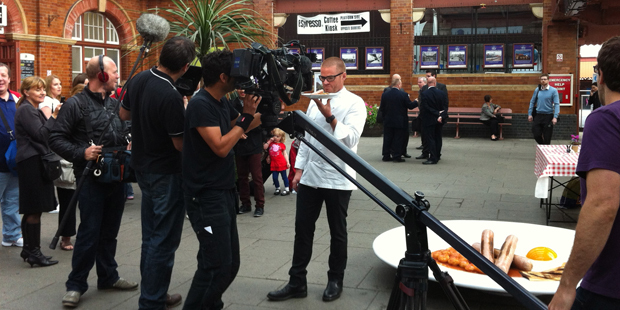 Heston Blumenthal ventured away from his 3 starred Michelin Fat Duck Restaurant in Bray, to serve up a big breakfast at Birmingham’s Moor Street station this morning. He came to the right city as recently Olive, the BBC’s food magazine, startled British gourmets when it declared Birmingham, England’s second largest city, the UK’s “foodiest town. We at Midlands Discovery Tours were lucky enough to have locally grown Michelin star restauranteur Glynn Purnell talk to our guests at the beginning of one of our food themed Specialist Walking Tours in early July. Tough decision Saturday morning, wether to watch the Olympic swimming heats sat next to “The Flozzie in the Jacuzzi” or to take our group of guests on our Saturday City Walking Tour. Walking tour won, but of course the Olympic theme was woven into the walk. Finished in time to see a bit of the men’s Gymnastics with local 23 year old Kristian Thomas. We’ll be looking out for him in the men’s finals on Monday. As the crowds pour into the Olympic stadium to watch the opening ceremony, a respectable number of devoted volunteers gather at The Shakespeare on Lionel Street, for the first meeting of the supporters of Newman Brothers Coffin Fittings Factory, since the granting of planning permission to bring the Victorian factory back to its former glory. Although this time as a Museum and office/workshop space. Lots of hard work ahead and a bit more money to be raised. A very colourful sceptical met those that had come along to join our Books and Writers, Sunday Walking Tour. Preparations were in full swing for the start of the Ratha Yatra International Society for Krishna Consciousness biggest street festival. The photo shows a huge wooden chariot which is pulled by hand in a grand procession. The procession ended back in Victoria Square where there was a stage show, a festival and a vegetarian prasadam feast.